They do not bark just to annoy you and your neighbors, nor do they bark for spite or revenge. Dogs don't bark just because they can (though it might seem that way at times). Certain dog breeds bark more than others. In fact, some types of dogs were actually bred to be barkers. This may be so they could alert people about dangers, protect homes, or even scare prey out of hiding for hunters. If you listen closely, you will eventually learn the sounds of your dog's different barks. You may then be able to figure out what each bark means. Understanding the reason why your dog barks is the first step towards controlling the behavior. Responding to Other Dogs: This is probably a familiar scenario. One dog down the street starts barking, and one by one the rest of your block joins in. It's like a cacophonous rendition of "99 Bottles Of Beer On The Wall." Do you have a problem barker? It's best to address the issue now before it gets any worse. To learn more, visit our blog post on how to stop barking and prevent excessive barking in dogs. 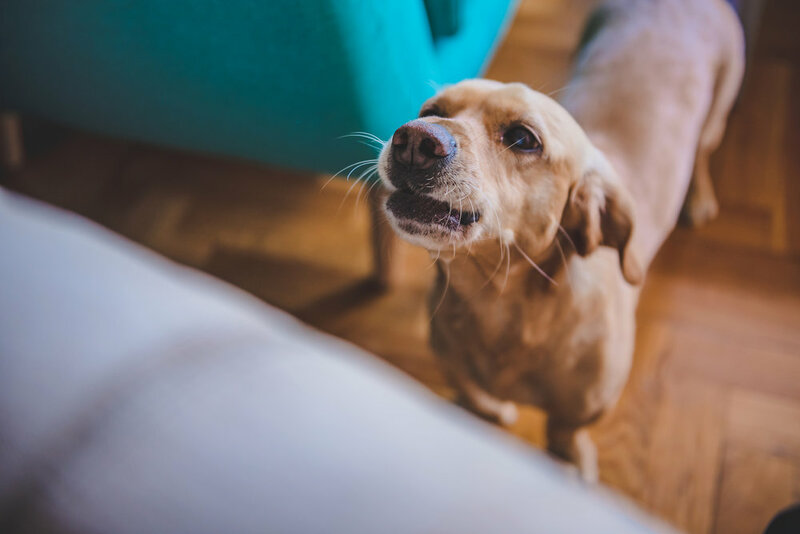 In most cases, you can curb barking using a combination of behavioral modification training designed to induce a calm response in your dog around triggers and a good behavioral management plan that reduces your dog's exposure to triggers. In more serious situations, you may need to bring in a dog trainer or behaviorist. One thing you should not do is ignore the problem. Excessive barking is not likely to improve with out intervention from you.